We have all had it happen at least once in our lives: Guests are coming over any minute, and we hadn’t had time to clean our apartment or house. In situations like this, sometimes drastic measures need to be taken. When you don’t have time to actually clean, making your place appear clean, or at least cleaner, is the next best thing. Of course, it’s always preferable to give yourself time to actually clean, but sometimes that just isn’t possible. For solutions to unfortunate cleaning time-crunches, look no further. Read on to discover how to make your house seem clean enough for guests even when it’s not. Stash them in the oven if you don’t have time to wash them. Distract guests from non-clean areas by putting shiny things in clean ones. Clean the first place they are likely to see first, then move inward to the less likely places. Spray air freshener in the rooms your guests are likely to be in to make it smell like you just cleaned. If there is no way you can get your house clean in time, just tell your guests they caught you in the middle of cleaning. Flip cushions to hide the pet hair that has accumulated on your furniture. Tired of washing and laundry? 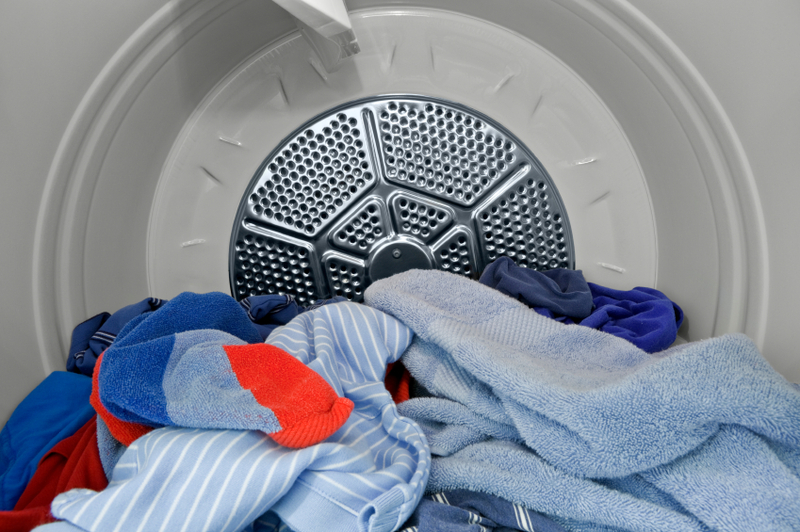 Toss stray dirty clothes in the dryer to hide them from guests or use some of the best cleaning products and get all the cleaning hassle done in a breeze. Open windows to let in sunlight or turn on lights to make the place look brighter.